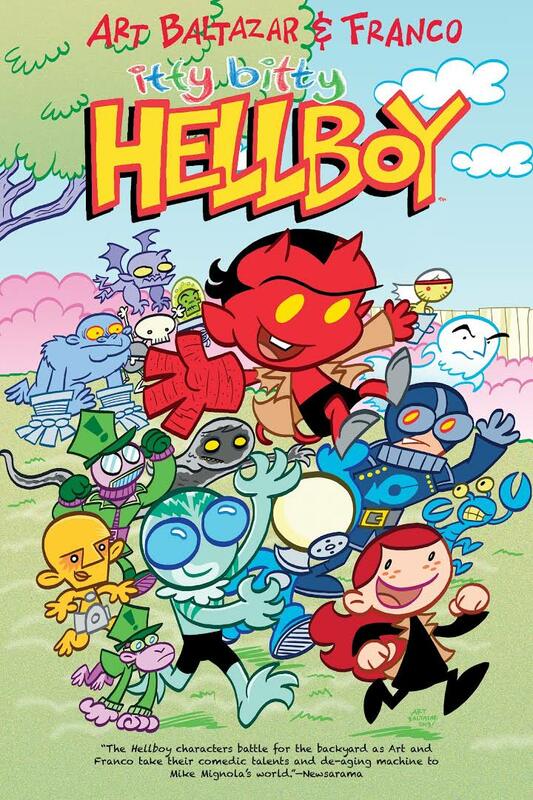 Though he seems to me like one of unlikeliest superheroes to be adapted for young readers, Art Baltazar and Franco's Itty Bitty Hellboy is nonetheless a pretty fun ride that I would definitely have been into as a kid. Instead of occult-based mysteries, we get a blend of slapstick and irreverent humour spread throughout a collection of low-stakes rapid-fire adventures. The humour and simple, colourful and curvy cartooning seems like something that would be at home on Nickelodeon. Does it owe enough to Mike Mignola's original adult-oriented creation? Would Itty Bitty Hellboy readers find the transition too jarring once they've matured and want to move on to Mignola's? For that I'm afraid you'll have to turn to someone who's a bit more of an avid fan. I've read a couple originals and enjoyed them. I read this and enjoyed it. But I’d still not say I’m familiar enough to compare.